FREE Fireplace & Wood Stove Estimates! Cape Cod Fireplace & Wood Stove » Installation and repair of fireplace inserts, wood stoves, pellet stoves, chimney liners and flue pipes. Including firewood delivery. 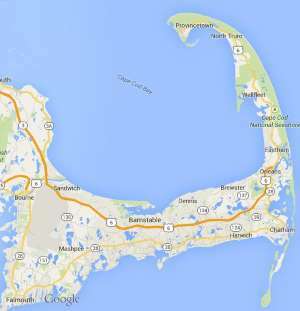 Free estimates from local Cape Cod fireplace & wood stove companies. Get quotes on your fireplace & wood stove project in Barnstable, Brewster, Bourne, Chatham, Dennis, Eastham, Falmouth, Harwich, Mashpee, Orleans, Provincetown, Sandwich, Truro, Wellfleet or Yarmouth, MA. Installation and repair of fireplace inserts, wood stoves, pellet stoves, chimney liners and flue pipes. Including firewood delivery. I’ve got wood now, but next year interested if it’s possible to buy 4 ft lengths that I can cut and split and age myself. Maybe 2-3 cords. We just have a fireplace currently. One cord of seasoned and split hardwood (with bark) is fine. My main request is that the wood is split more than 1/2. quote for firewood : 1/4 cord local seasoned hardwood delivered shrink wrapped. Seasoned firewood for fireplace (not wood stove) delivered to Hyannis. I would priceing for both a full cord and half cord.